Honeymoons are very much a personal choice of the couple involved although if your wedding is in winter, the most elementary choice you’re likely to have to make is in determining whether you want a ‘sunshine’ or ‘snow’ honeymoon or, perhaps the weather might not even be a determining factor if you’re planning more of a sightseeing holiday - a city break, for example. Perhaps you’ll also be swayed by certain destinations if you’re planning on also getting married in a particular location as well as spending your honeymoon there. Here are some popular winter honeymoon choices. If you’re in the UK and are looking for a sunshine honeymoon in winter, then unless you’re considering a trip to the Canary Islands, you’re going to have to travel further afield if you’re looking for warm sunshine. Your choice of beautiful tropical islands is almost unlimited in the Caribbean. There are plenty of 5 star hotels and all-inclusive holidays offers on all of the major tourist ‘hotspot’ islands such as Jamaica, Barbados, Antigua and Trinidad and Tobago, although prices tend to rise significantly in winter from mid-December onwards as it nears the Caribbean peak season. Mexico is also popular for winter honeymoons whilst Bermuda tends not to attract as many ‘package’ holidaymakers. Hawaii is a honeymooners paradise yet although its temperatures are warm all year round, it gets more rain between November and March, although it rarely seems to ruin holidaymaker’s plans and tends to be more localised meaning you can usually escape to a sunnier location on the islands. Tahiti and Bora-Bora in the South Pacific have some of the finest beaches in the world and are both ideal spots for honeymoon vacations. Also in the Southern Hemisphere, both the Seychelles and Mauritius are very popular. And, in the Far East, Thailand is still the destination of choice for a lot of honeymooners. Closer to home, but where the good weather is guaranteed, both Egypt and the likes of Dubai are becoming increasingly popular with British honeymooners with the latter being more expensive of the two, generally speaking. 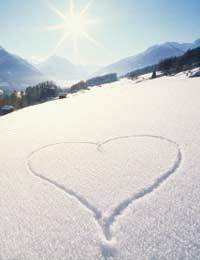 Some of the best ski resorts in the world are also famous for providing couples on honeymoon with the most luxurious settings if you prefer a winter honeymoon in a snow location. In Europe, St. Moritz, Méribel, Gstaad, Chamonix and Cortina are well renowned whilst over in North America the likes of Vail, Aspen, Whistler and Banff are also popular locations and where the snow is concerned, North American ski resorts tend to be more reliable when it comes to snow falling. All of these resorts tend to attract the more ‘exclusive’ visitor perhaps making them a bit more suitable for honeymooning couples. Africa and South America are popular destinations for winter honeymoons too. In Africa, you might enjoy a safari honeymoon whilst in South America, Peru’s famous Inca trail is the experience of a lifetime if you like your holidays to come with a bit of adventure. For those who prefer the hustle and bustle of the city, both Paris and Venice are still possibly considered two of the most romantic cities in Europe whilst in many parts of Scandinavia, you might wish to combine some winter sports activities like snowmobiling and dog sledding with a stay in a beautiful log cabin with a cosy roaring fire to come home to. Your choices for a winter honeymoon are, therefore, literally endless. Ultimately, wherever you travel to will be determined by your own personal tastes and how much money you’re willing to spend.